I bought this a few weeks ago and so far Iâ€™m loving it. Everything works great. Glad I made this purchase. Bought this 6 months ago and it's horrible. It's the worst bed I've ever owned. The frame makes noises with every little body movement when laying in bed. Spent a lot of money on this and looking for a new bed 6 month ago later! I bought this last month and it helps me sleep so much better. Good investment. Just wish it had a better warranty. I bought this frame a week ago and I love it. Whisper quiet operation, USB ports, nightlight and massage. I fall asleep effortlessly with this frame. I'm trying to watch TV and so comfy I keep falling asleep. 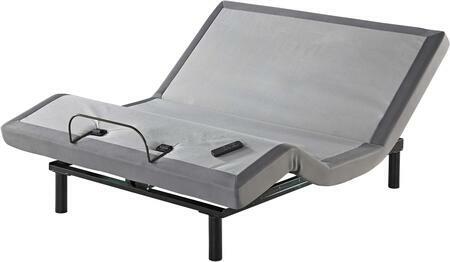 I recommend this adjustable bed. I bought it las year but I didn't get a test in the store. I purchased two months ago and wish i would have gotten the double sided one. My level is different from my spouse so i still have issues with my back...sad! Very good I recommend this product. Anyone can enjoy to sleep on this mattress . Had for 1 week sleeping great. Love that I can sit up now.